An organization’s history is its legacy, its link to the past and bridge to the present and future. The History Walls we design, fabricate, and install pay tribute to your rich heritage with elegance and style. You provide the relevant content (photos, memorabilia, significant dates, and text). 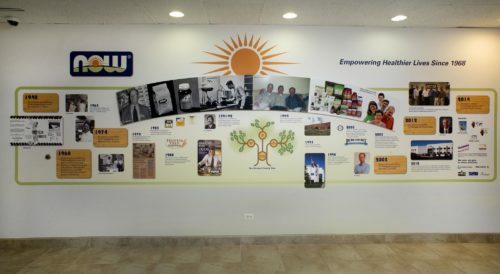 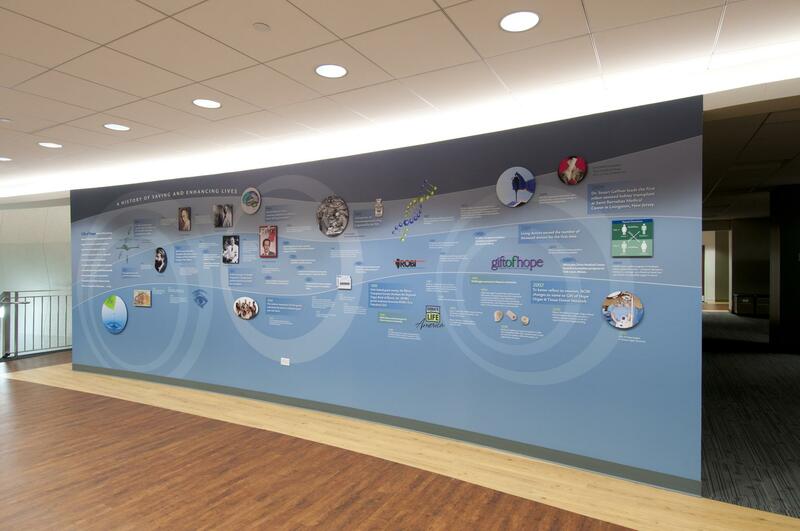 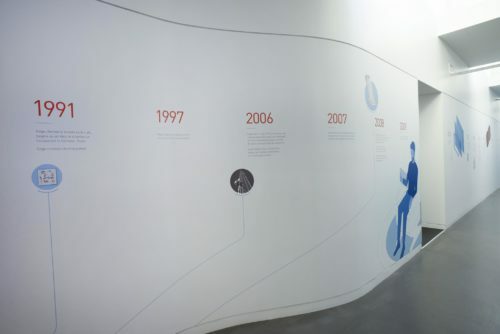 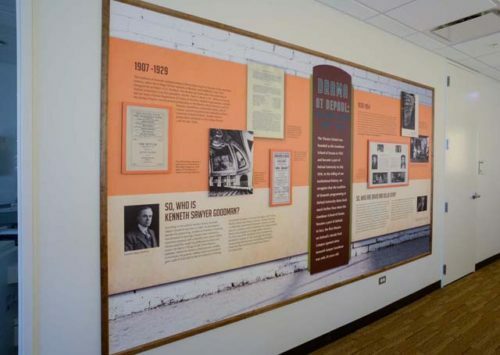 Our design process is creative and collaborative—we work with you through every step to ensure your History Wall reflects your organization’s goals, aesthetics, and culture. 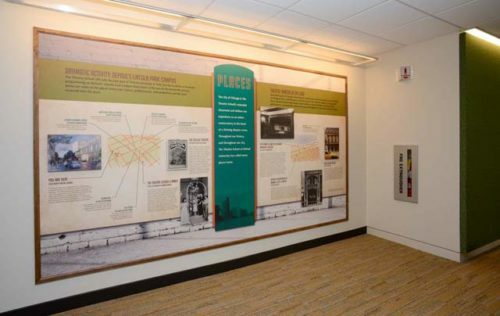 The result is a display element worthy of your lobby or office and a showcase for your historical legacy. 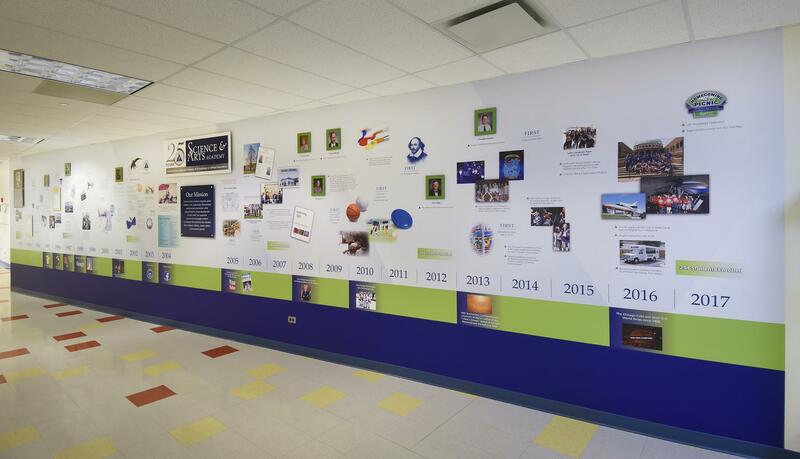 Organizational timeline featuring photos, copy and dimensional elements. Timeline featuring photos, copy and dimensional elements. 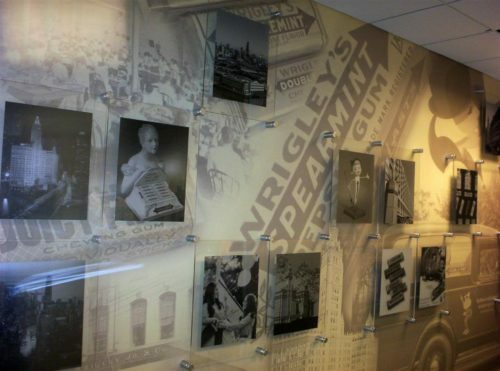 Company history wall - Photos on pucked acrylic mounted to type 2 wallcovering. 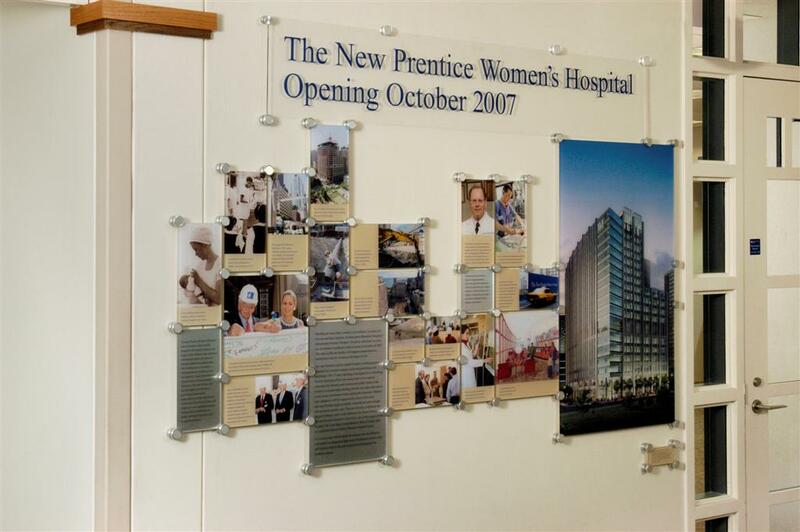 wall covering and the dimensional elements are photographs on cleated acrylic panels. 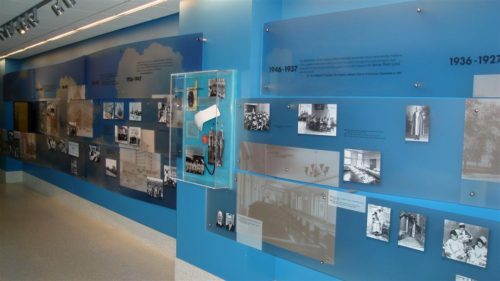 Buildings that have housed The Theater School throughout its history. 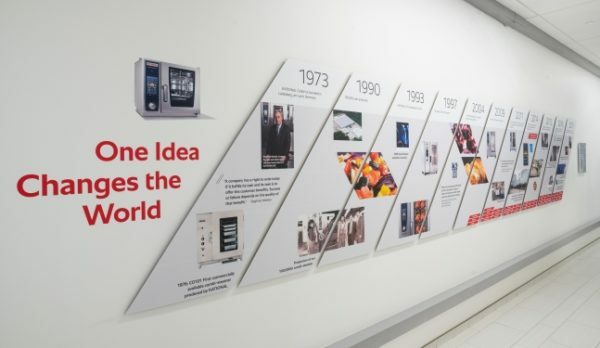 The timeline shows the history of the company and products from the 1940’s to the present. The company’s highlights are illustrated using a combination of 2 and 3 dimensional design elements. 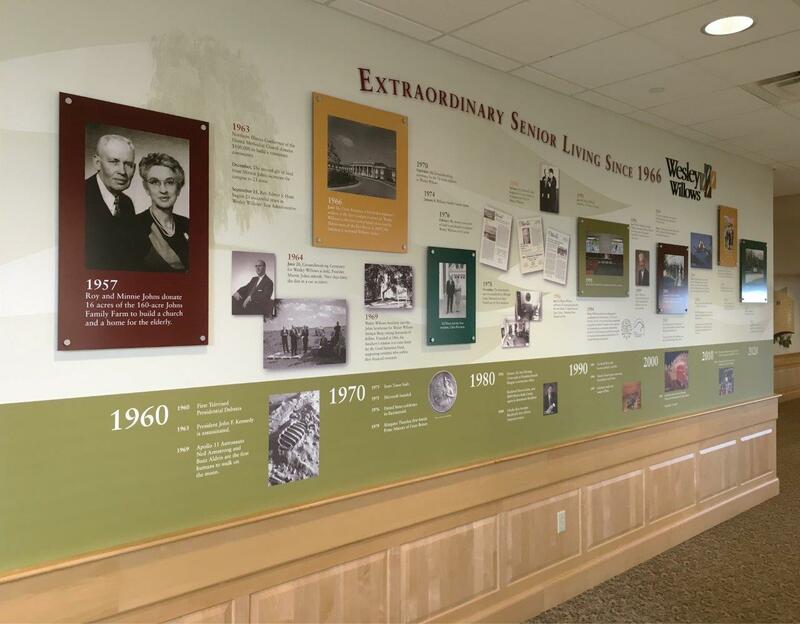 Photos and announcements of new building construction timeline. 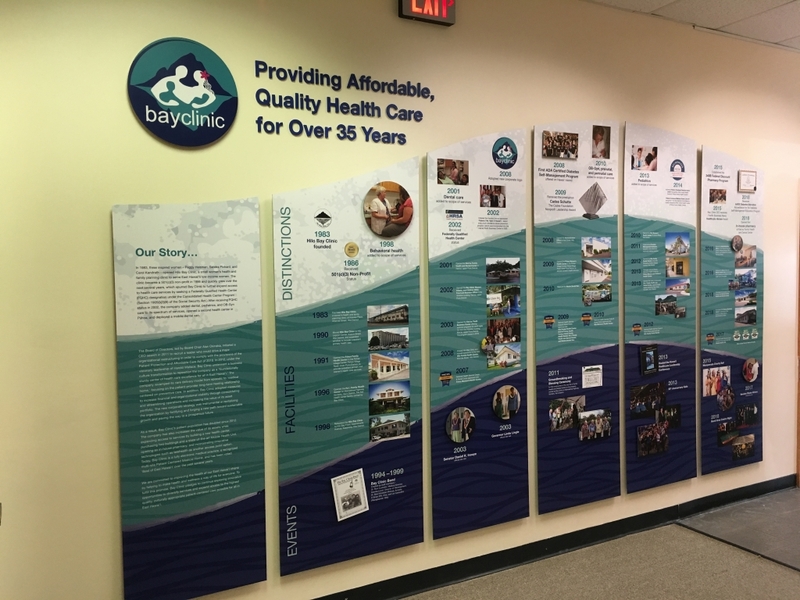 Organizational timeline - photographs and copy on mufti-layered acrylic.